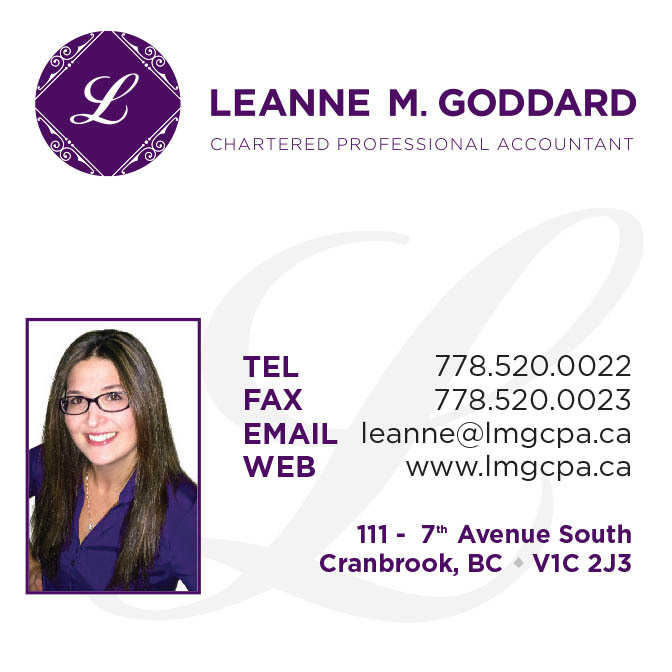 Leanne M. Goddard, Chartered Professional Accountant offers professional accounting and tax services for residents and business owners in the greater Cranbrook, B.C. area. Services are available to help you with such tasks as personal and corporate taxes, payroll, estate and financial planning, bookkeeping, consulting and more. Leanne has years of accounting experience and can help you make the most of your money regardless of your budget or income. When you trust Leanne with your hard-earned money, you know that you are putting your affairs in good hands. Whether you simply need some advice or would like full business accounting services, Leanne is here to help! Each and every client is treated with the attentive care that they deserve, and Leanne aims to ensure that you understand your affairs every step of the way. Years of accounting experience allows Leanne to make the best recommendations based on your specific situation. Every client is unique and their needs vary greatly. Whatever your situation, Leanne can help you achieve your goals! Getting knowledge upfront and doing things properly from the beginning can save a lot of time and money. Have those questions answered upfront so you can plan properly. Services offered are business evaluation, business set up, system evaluation and set up, system process and training as well as financial planning/budgeting. Professional and accurate tax services are available for individuals as well as corporate clients. 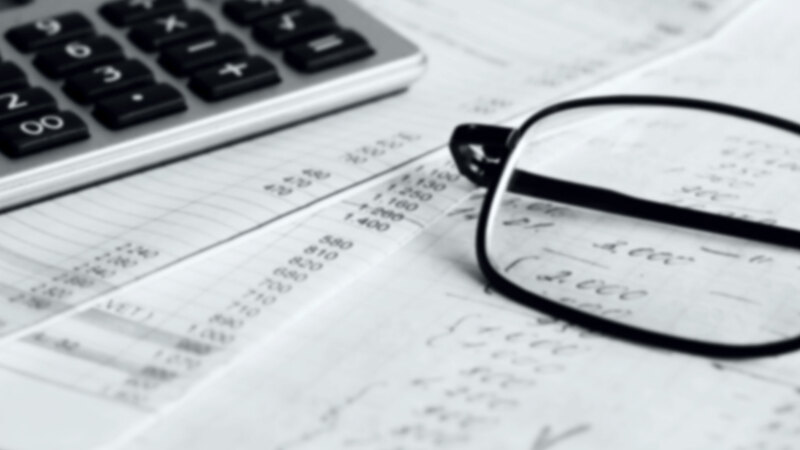 Tax planning services are available to identify key tax planning opportunities that minimize both your current and future tax liabilities. Ensuring your books and records are maintained accurately is essential to minimize taxes. Affordable, professional, computerized bookkeeping services are offered on a monthly, quarterly or annual basis. Reporting is offered so you know how your business is doing on a regular basis. Payroll services, related statutory filings, annual forms (T4’s/subcontractor payments) are prepared. 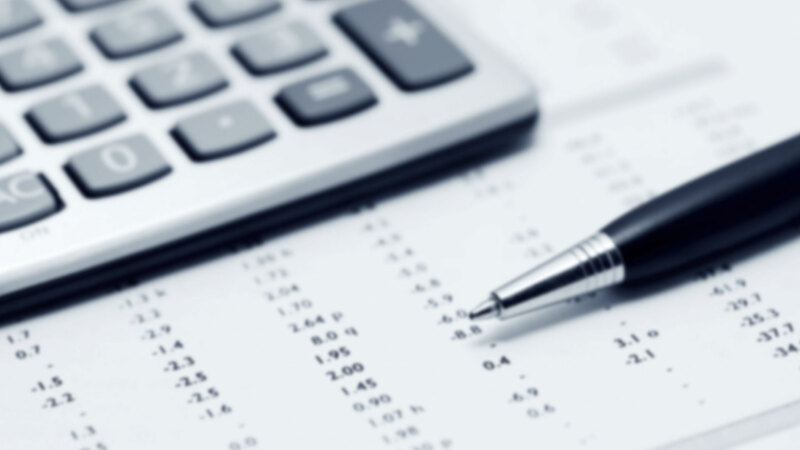 Professionally prepared financial statements are offered in conjunction with corporate year ends and tax preparation. Financial statements are also prepared for proprietorships that need them for financing or for any other purposes.